For a period so rich in American history, there are surprisingly few movies that cover the history of bootlegging in the United States. Sure, you’ve got your 30s gangster films, but those films are about the gangsters themselves—their goals, values, what have you—and not really about the down and dirty business of making moonshine and distributing it. And especially considering its rich history in the South, I’m surprised that director John Hillcoat and writer Nick Cave are the first to really tackle this odd moment in our nation’s history, as they do in Lawless. Unfortunately, Lawless, for all its violence and occasional moments of inspiration, doesn’t seem much interested in the history, or anything really. 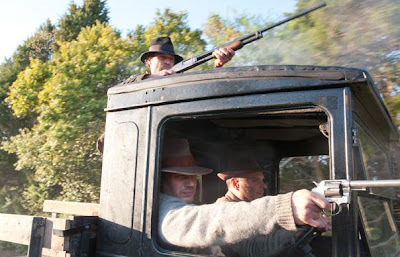 Based on the novel The Wettest County in the World by Matt Bondurant (writing about his grandfather’s history, so there’s some truth mixed in there as they like to say), Lawless throws us into the moonshine days of Virginia and the battles between the producers (the lawless) and the law. It’s a film filled with testosterone, but it also doesn’t feel particularly inspired by much of anything, and lacks a real punch. The obvious answer to Lawless’s issue may come from the rumors and murmurs surrounding the film’s producer, Harvey Weinstein, who may have cut the film to a reasonable running length, removing the more incongruent elements in favor of something conventional. It’s not that Lawless doesn’t have its moments, but the film feels so devoid of emotion, both by its characters and the makers behind the screen, that you can’t help but ask the question, “What is the point at the end of all this?” Why exactly am I watching this movie? Surely not for Shia LaBeouf, who stars as Jack, the youngest of the three Bondurant brothers, his little ingénue face excited to get in the bootlegging business his brothers Forrest (Tom Hardy, matching incomprehensibility of his Dark Knight Rises performance with a series of grunts) and Howard (Jason Clarke, strong as supporting material). The three brothers seem to be living the life as they export their sacred liquor across county lines with little nuisance from the cops. But enter Guy Pearce as a Chicago-bred, hair slicked back, and perfume wearing deputy with a no-nonsense approach to torture and things get complicated. Pearce’s fierce performance gives the film a jolt of energy, matching his calm, calculated voice to the sheer brutality he shows (an early scene where he smacks the crap out of LaBeouf is quite pleasurable for obvious reasons). 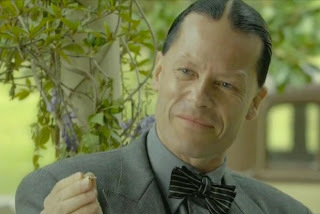 There are also some other narratives in play, notably two thanklessly shallow love interests for Jack and Forrest played by Mia Wasikowska and Jessica Chastain, but Lawless seems to have created them, and much of its plot, by committee (Gary Oldman appears in what amounts to an all too brief cameo as well). 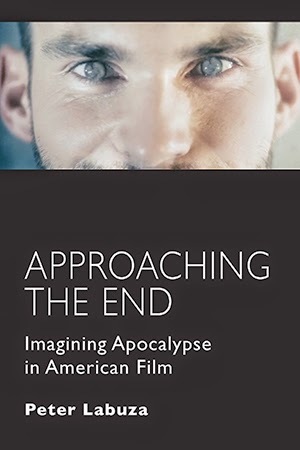 Hillcoat and Cave, who did fabulous work on the existentially ponderous The Proposition and the equally great The Road, have no sense of narrative propulsion, nor seemed to want to really capture the expressive details. The period detail looks good but never stands out, and the camera unexpressive, save for some abstract shots of landscape (perhaps a longer cut included more of this). As history, Lawless never provides the details of the culture one would hope, and as a story, it certainly doesn’t give you a reason to care about these brothers. Part of the reason may be Hardy’s Forrest. Hardy does the best with his lumbering physical performance to give both a menace and tenderness, but along with his mumbling dialogue, you never get a sense of what exactly Forrest wants. His character remains a cipher, and for a character that deals so much bloody violence and receives it, Hillcoat and Cave make it difficult to invest in his plight. 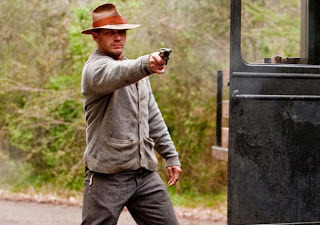 There seems to be a lot of inspiration behind bringing Lawless to the screen—it’s essentially a beautiful meeting of Western and Gangster traditions set in the South. But I wish it had an edge to it besides its moments of violence. We can all clinch in our seats when say, a character has hot tar poured down his back, but violence itself does not make a movie. 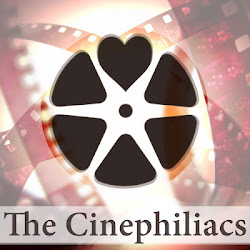 For a director-writer team that seems more interested in the philosophical than the literal, Lawless seems to have been stripped of all its more metaphorical qualities.